I read this article and found it very interesting, thought it might be something for you. The article is called Soundbite: James and Grace Gannon Cloonconra Cheese and is located at https://www.totallydublin.ie/food-drink/food-drink-features/soundbite-james-and-grace-gannon-cloonconra-cheese/. Produced from the milk of the Irish Moiled cow, an ancient breed that was almost extinct a few years ago, Cloonconra Cheese has a unique, distinctive taste that has already earned it a gold medal at the prestigious Irish Cheese Awards in Ballymaloe. 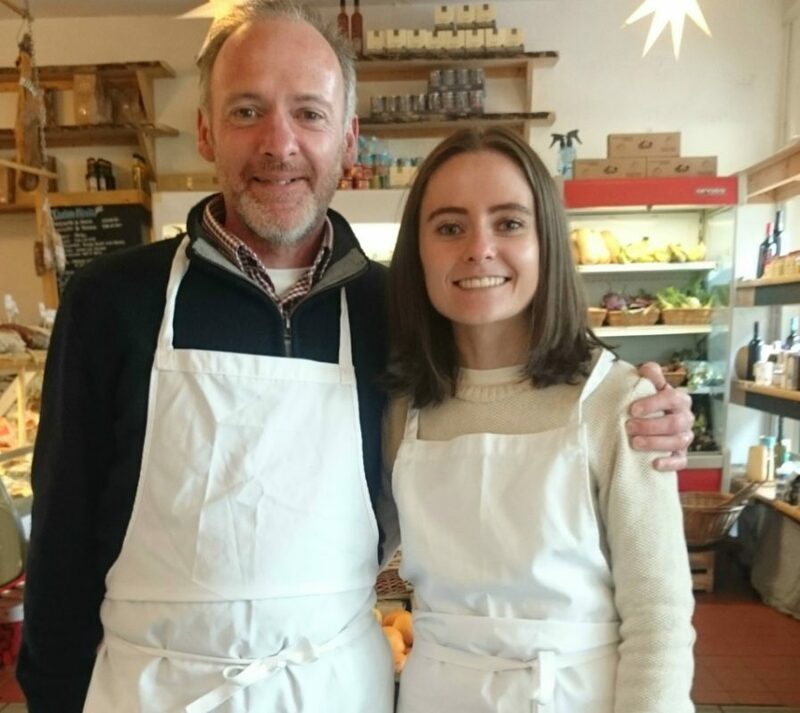 We talked farming, flavours and sustainability with James and Grace Gannon, the father and daughter team behind the Roscommon based newcomer. What led you to set up Cloonconra Cheese? James: I’m a sculptor and a few years ago I moved the studio down to my wife Mary’s family farm in Roscommon, which had been in her family for hundreds of years. The farm is on fairly marginal land in an area of old red sandstone, one of only two areas in the whole country like that. Initially we farmed conventional continental breeds but because I was working all the time I needed something that was more easily managed. So we started researching the native breeds that developed over thousands of years to suit that kind of landscape and deliver good quality food at low input. When I came across the ‘Moileys’, as they’re called, ten years ago, there were only about 300 breeding females in the world. I bought a few foundation stock from the North, and the remnants of a really old breed in West Cork and gradually built it up from there. Grace: Ours was a traditional Irish farm that decided to go back to how they would have farmed thousands of years ago, becoming almost pre-tradition. When we decided to go organic, we wanted to do something that would be more sustainable so when we settled on switching breed we decided to change industry as well. Because that breed is famous for their milk it made sense to focus on cheese. The way we farm is very humane, the animals all have different personalities, some of them are very domestic and suited to milking, but if they don’t enjoy it we leave them alone. Because they like to be on the land we try to keep them out as much as possible, so they’re only indoors for about a month in winter. Cloonconra has already won an award. Describe what the cheese tastes like. G: I couldn’t believe it when Mum texted me to say that we’d won that award. At that stage we’d only been in production about three or four months so it was incredible. Taste-wise, there’s nothing quite like it. I describe it as a soft farmhouse cheese similar to ricotta in texture but much richer because it’s made with raw milk. We don’t pasteurize anything and the flavour is definitely better when you do it that way. Because of the culture that we use it’s got a citrusy, lemony flavour to it, so instead of overpowering a dish it offers a great blank canvass to work with. Chefs really like our cheese because its clean flavours really take on other ingredients. We’re on the menu in Forest Avenue, Thorntons and the Greenhouse and for us it’s a lot of validation when chefs notice what you’re making. The butter is incredible as well, but we only make a small amount for domestic use. J: It’s great to have it in Michelin star restaurants, but we also developed it so it was an accessible cheese for people. The milk tastes very rich but it’s not very high in fat, and when I did a cheese tasting in our local supermarket recently a lot of older women in particular really liked it because it reminded them of the butter and buttermilk that they were used to from years ago. I think that in the past people had a lot more knowledge than we give them credit for and Irish people knew that a particular type of cow produced great butter and another type was better at producing meat. Different breeds have different types of milk and some of the science about milk is actually starting to back that up now. What have been the main challenges for Cloonconra? J: The biggest challenge initially involved transforming the beef herd into a dairy herd. We had to use suckler cows and train them into the dairy and that took a lot of time and patience. Now the biggest challenges we face are around distribution. 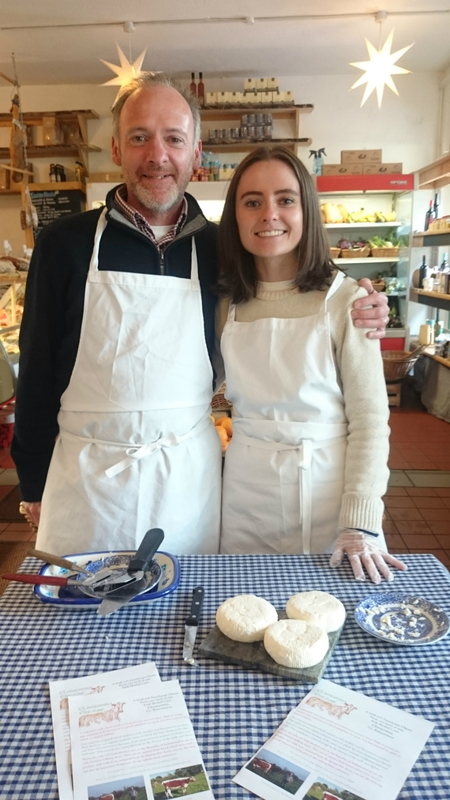 G: The largest market is in Dublin and getting fresh cheese there very quickly can be difficult, so we’re glad to have a bit of a break over the winter to try and put a proper distribution network in place. It can be difficult to set up a food company in the west of Ireland because the infrastructure is not there, but we’re working with our neighbours to set up a co-op of farmers based in Roscommon. J: One of the things we have to think about over the winter is the sustainability aspect. You can send cheese around in a polystyrene box and once it arrives within 36 hours it’s fine, but the planet is just covered in plastic, so we’re keen to explore how we can do it sustainably the whole way through, including distribution and packaging. G: There are people who think we’re absolutely nuts to start focusing on that kind of thing but we don’t want to compromise too much. We’re also trying to figure out how we could make the shelf life a bit longer and we’d like to develop a semi-hard cheese as well, based on a traditional Irish recipe.